Fisher-Price Bouncer Just $20! Down From $50! PLUS FREE Shipping! 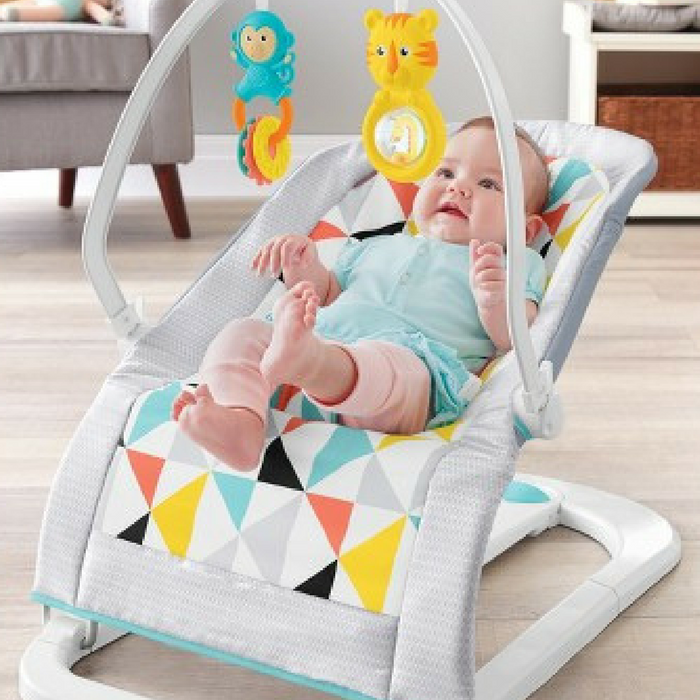 You are here: Home / Great Deals / Amazon Deals / Fisher-Price Bouncer Just $20! Down From $50! PLUS FREE Shipping! Don’t miss this deal! For all Prime Members, you can now score this Fisher-Price Bouncer at Amazon for just $20 down from $49.99 PLUS FREE shipping! Your baby can relax in comfort and style with this chic bouncer, which offers state-of-the-art, smart calming vibrations that automatically turn on when your little one is placed in the seat. And, when it’s time to play, the removable bar with overhead animal toys encourages little ones to reach and bat—a fun way to strengthen their hand-eye coordination and motor skills. Best of all, the bouncer folds flat in one simple step, making it easy to store or take along for a day out! Pretty cool! ​smart calming vibrations automatically activate when baby is placed in seat. Equipped with manual on-off switch, as well.